Our KBW BannerFlex� D3 Banner Bracket may be used to wall-mount banners onto exterior or interior building walls. 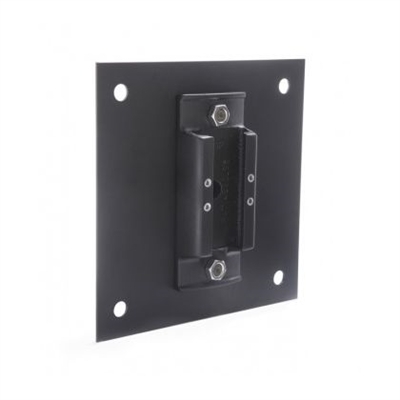 When utilizing this application, we recommend a special mounting between the bracket and the wall to increase the surface area of the installation. Please allow an additional 10-12 business days for production on custom plates. Designed for mounting BannerFlex Banner Brackets on exterior wall applications, the steel wall mount plates provide a larger surface area in order to spread the wind load and protect the wall surface. 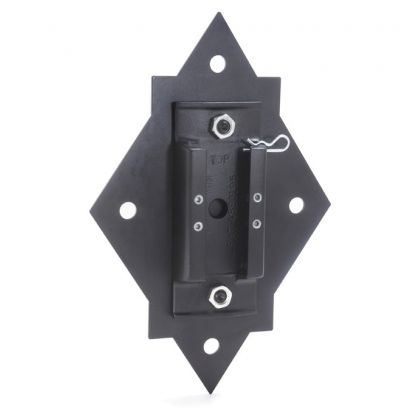 The plates can be attached by substantial anchors or lag bolts to and / or through the wall, depending on the wall's composition. See details below for color options. 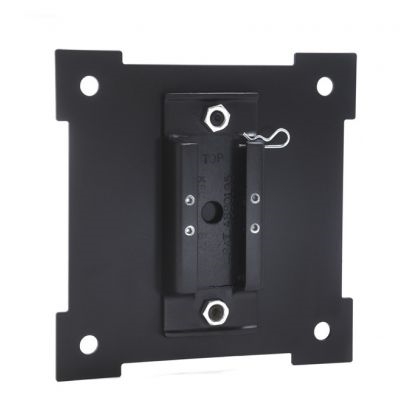 Standard square wall mount measures 9.5" x 9.5"
Stock plates are black. For custom colors please contact sales representative.